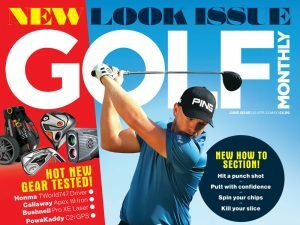 TaylorMade Project (S) Ball Review - Joel Tadman puts the ball through its paces on the course. Good value, decent long game performance and durability. Does't spin as much around the greens compared to most other balls. This ball is aimed at budget-conscious golfers who prioritise a soft feel. The ‘s’ in Project (s) stands for soft feel, but it is also designed to offer low driver spin thanks to the Dual-Distance core, which decreases the overall compression for soft feel while also maintaining high ball speed. A soft ionomer cover improves feel and control around the green, while the high-lift 342LDP dimple pattern reduces drag throughout the ball’s flight for more distance. The Project (s) unquestionably provides the softest feel of all TaylorMade golf balls on every club through the bag. It is better suited to lower-swing-speed players off the tee, who will benefit most from the low- compression design and low spin. We found it to be impressive on iron shots, offering a high ball flight with low spin that will keep it moving into the wind. It doesn’t spin quite as much around the green as balls with a more premium cover material, like Project (a) and TP5, meaning you have to allow for a little extra run on chips and pitches, but there’s a degree of grab when you nip it cleanly from tight lies. But as an overall package, there’s some good value here for average golfers who want a soft feel, decent long- game performance, durability and a variety of colour options. As well as gloss white, the Project (s) is available in UV-resistant matte yellow and orange finishes. Best suited to lower-swing speeds, the Project (S) gives soft feel as well as low spin. At £24.99 it offers good value as well.